Today marks forty-two years since Roe v Wade. Forty-two years of permission to kill unborn children. Unwanted by their mothers. There have been over 57 million babies killed in America, including my first, since that landmark decision. 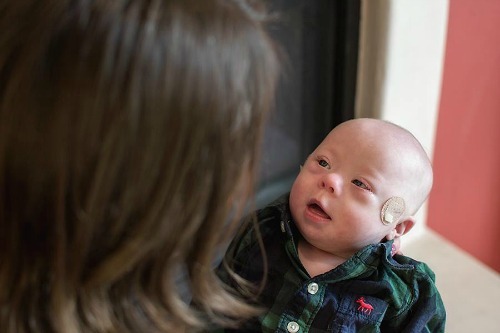 Did you know that it is estimated that 92% of women who receive a diagnosis of Down Syndrome for their baby then decide to abort? 92% With that information, it’s clear that Down Syndrome is nearly always a death sentence. Last night I attended an event that proves why that statistic is so very very wrong in so very very many ways. People with Down Syndrome not only deserve life, but their lives affect other lives in amazing ways just like typical people. I have known this since I was in late elementary school. I attended and assisted my dad at a Special Olympics in Mississippi. He hosted a fishing area for the participants to learn how to cast a rod and reel while waiting in between events. He loved doing it. I loved it too. Last night’s event was over the top amazing. Way more than 92% amazing. I had the honor of photographing Tim Harris’ birthday. Owner and operator of the famous Tim’s Place. It was his birthday celebration and even more than that, it was the public launch of his new foundation: Tim’s Big Heart Foundation. Tim Harris turned 29 and he has Down Syndrome. And yes, he owns a restaurant. A place where you can get food and a hug. Tim’s Place. So that’s what he is doing. 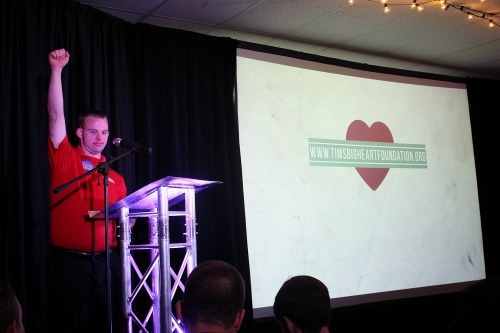 Tim’s Big Heart Foundation supports adults with intellectual disabilities reach their dreams in the business world. Last night we heard about four of them: baker, a popcorn maker, a coffee shop owner, and spice jam chef. 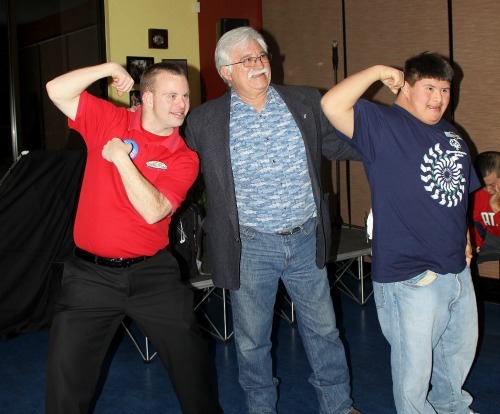 Three of them with Down Syndrome and two with Autism Spectrum Disorder. All of them amazing. Their lives are reaching and affecting others in ways that we can not even fully understand or describe. I know that hearing each of them is way more than enough to know that while maybe their lives haven’t been easy and they haven’t been “typical” in the development arena, they are teaching, encouraging, helping, and glorifying to the Lord. When I thought about how Tim and three of the amazing entrepreneurs could have been aborted in that 92% statistic and I would not have been witnessing this amazing event, my spirit shuddered. How short sighted and uninformed our culture is when confronted with disabilities, including if not especially Down Syndrome. Roe v Wade is a blight on our nation. On our women. And on our unborn children. And especially on those with Down Syndrome. Tears stream down my face as I contemplate the fate of unborn children like Tim who are not curses, but blessings. Differently shaped blessings than the typical child, but blessings none the less. Does that mean their lives and their parents’ lives haven’t been challenging or plain ol’ hard at time? Of course not. Different nearly always means difficult in a culture that doesn’t value different. Does that mean that if Maybe Baby has Down Syndrome, I won’t weep or be scared? Of course not. I’m human and I will mourn the loss of easy and typical if my baby is created differently. Does that mean these lives aren’t worth living or parenting? Of course not! That gives us no right to snuff out a life. To refuse to let different live. To refuse to parent or place via adoption different. Today, I beg you to consider what you can do to fight this statistic of fear. Fear of the unknown. Fear of having a child that is so different. Fear of parenting different. Different can be pretty stinking amazing. I see that at camp every year. And I saw it last night. As the anniversary of Roe v Wade is celebrated by many, I grieve. I grieve my child. I grieve the over 57 million children killed (you can see a counter at this site that is updated instantaneously based on data). 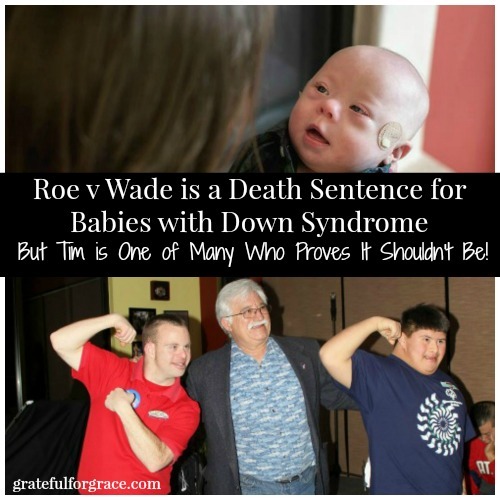 I grieve the 92% of unborn babies diagnosed with Down Syndrome who are slain. May our nation see the error of its way. Until that day, may we strive to celebrate different, like Tim. Do you know anyone with Down Syndrome? Isn’t his/her life worth living? Previous post: Are Our Worship Songs for Christ Alone? Or Could They Be Sung In a Hindu Temple?